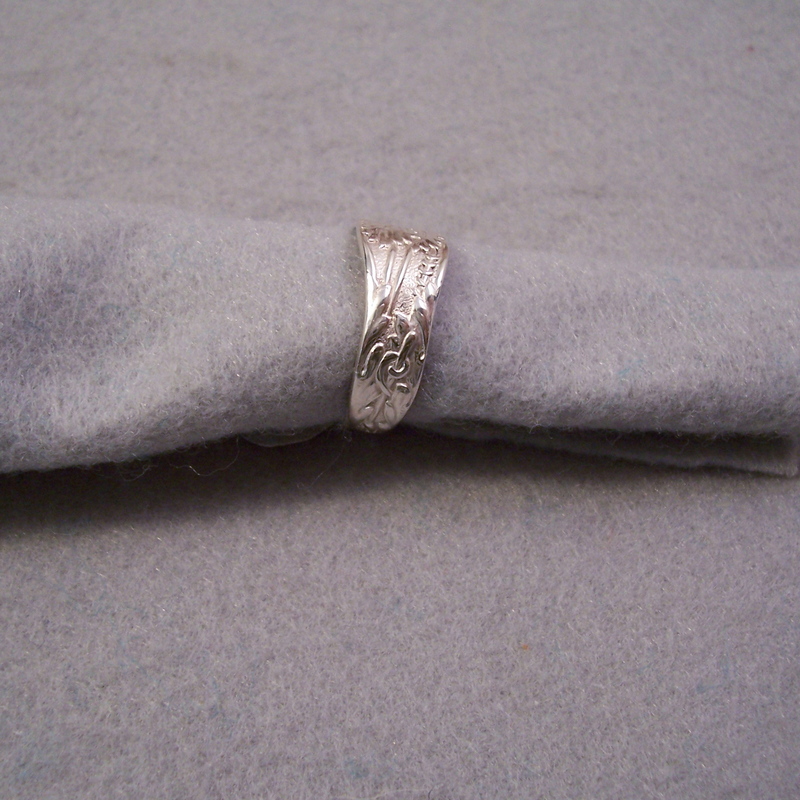 This flowered sterling spoon handle makes a great comfortable ring. The from is 5/8" while the back tapers to 1/4". 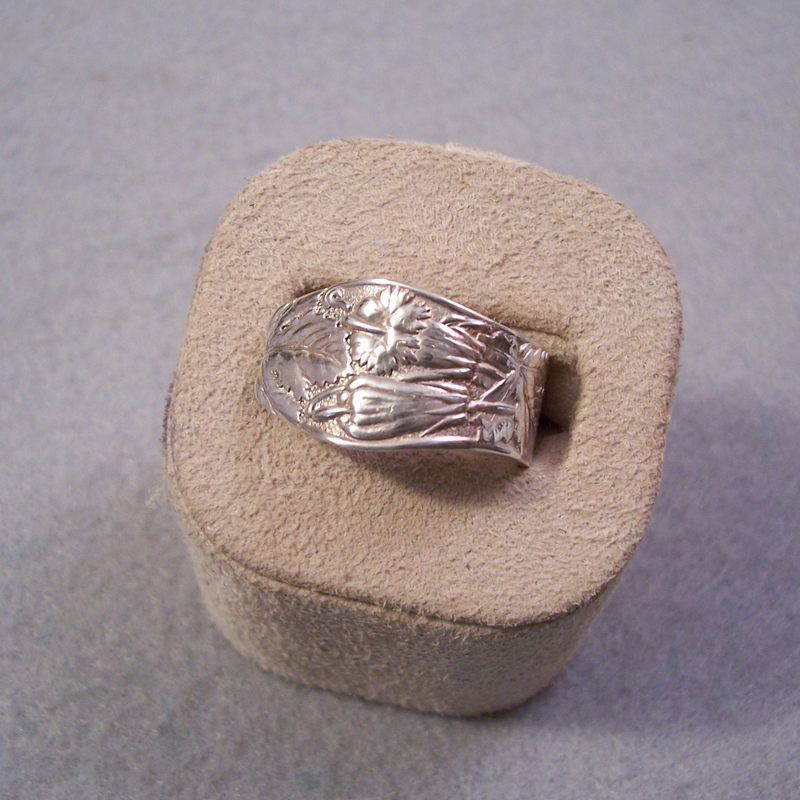 The flower and leaf pattern travels all the way around the ring and even is on the inside. Soldered closed at a size 9.